Founded in 1986 by Dadi Pudumjee, Ishara Puppet Theatre Trust is one of India’s leading contemporary puppet theatres. It is committed to creating awareness, exposure and education to the multifaceted traditions and techniques of puppetry in India and the world. The trust is known as one of India’s most innovative modern puppet groups; one that has evolved over the years with puppeteers, traditional artists, actors and dancers, even creating a language of gesture called Ishara. 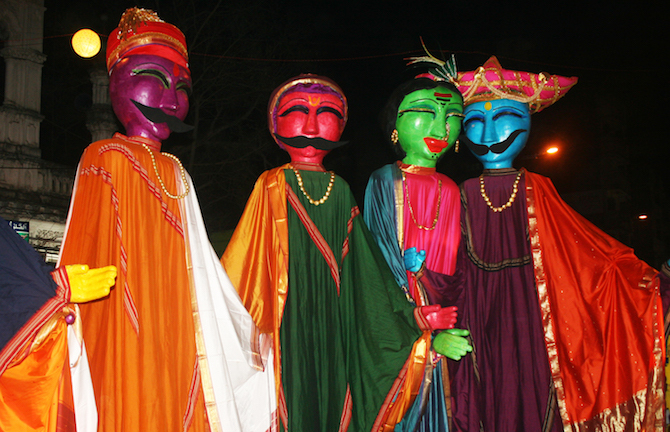 The group has performed in many countries and organises the only annual international puppet festival in India in collaboration with Teamwork. For his efforts with the trust, Dadi Pudumjee has been bestowed with numerous accolades including the Padma Shri in 2011, and the Sangeet Natak Akademi Award in 2003. Dadi is presently the president of world puppet organisation UNIMA International: Union International de la Marionette.